In 1978, BR Chopra made a film called 'Pati Wife and Who' which was a super hit at the box office. Now his family is going to remake this film together with Abhishek Chopra and Renu Chopra T-Series's Bhushan Kumar. 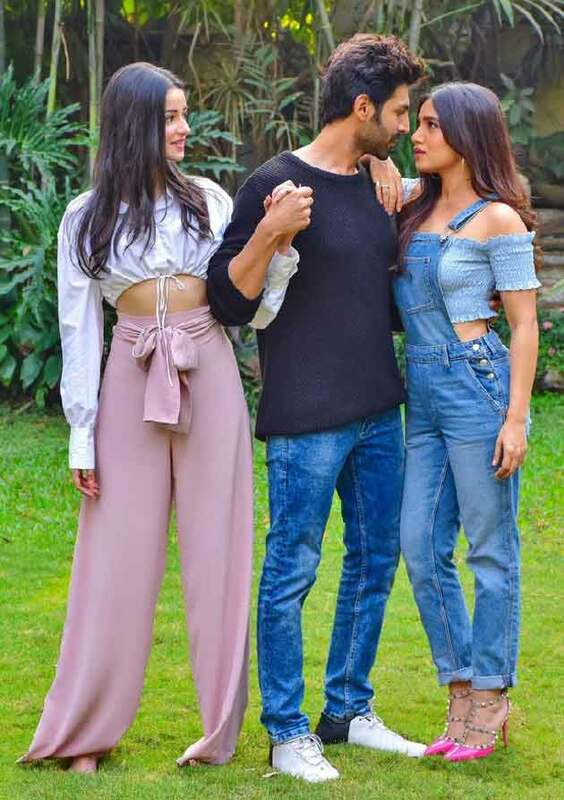 In this movie, Kartik Aryan, Bhoomi Pednekar and Ananya Pandey will be seen in the lead role. The discussion of making this film was being discussed for a few days. Tapasi Pannu had spread the sensation by saying that she was selected for the film, but later she came to know that she was not part of the film. On this, an official statement issued on behalf of the producer was that there are many artists talking to the film, but this does not mean that they have been selected. There was no promise from Tapi Pannu. Tapas is a very talented artist and in the future, he will definitely want to work with them. Many people remember the film 'Pati Wife and Woh' released 41 years ago. In this comedy movie Sanjeev Kumar, Vidya Sinha and Ranjita played the lead role. Sanjeev Kumar and Vidya Sinha are husband and wife and are happy. Sanjeev's Ranjita comes as a new boss. To get his sympathy, Sanjeev explains that his wife is ill. Bosses and secretaries come closer to this point, while the secretaries' intentions are something else. The song's song 'Bathe with cold cold water' was a huge hit. This low-budget movie earned great success at the box office. Kamleshwar received the Filmfare Award for Best Screenplay for this film.